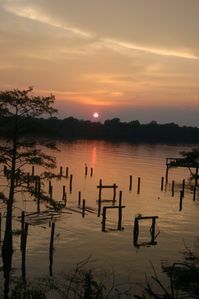 New Moon Lake MS lakeside lodge perfect for family or couples getaway! Brand new location! Incredible 3 bedroom, 2 1/2 bath lake shore beauty! 2,200 square feet of pure comfort! 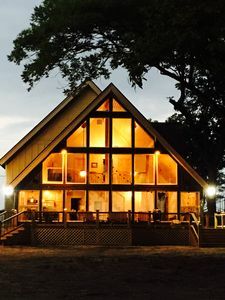 This lake lodge was built in 2016 with a ski lodge type decor that will not disappoint. Perfect for a family getaway or a couples retreat. The living room has 28 foot tall ceiling with an entire wall of windows with a beautiful view of the lake. The kitchen is fully equipped. The 8-10 person dining area table is a beautiful made table from restored wood. All rooms have a TV with direct TV. Internet from exceed is freely provided. Two free kayaks, a fishing boat, and a SUP board are also provided. Possible rental of a party barge. This location is one of the best on the lake! You will not be disappointed! Contact me for more information!